Made with the same long glass fiber reinforced nylon materials as the race-proven GB Racing secondary engine covers and other equipment. This advanced injection molded composite resists cracking and fracturing upon impact, absorbs energy and has excellent abrasion resistance qualities for extended contact with the pavement or tarmac. 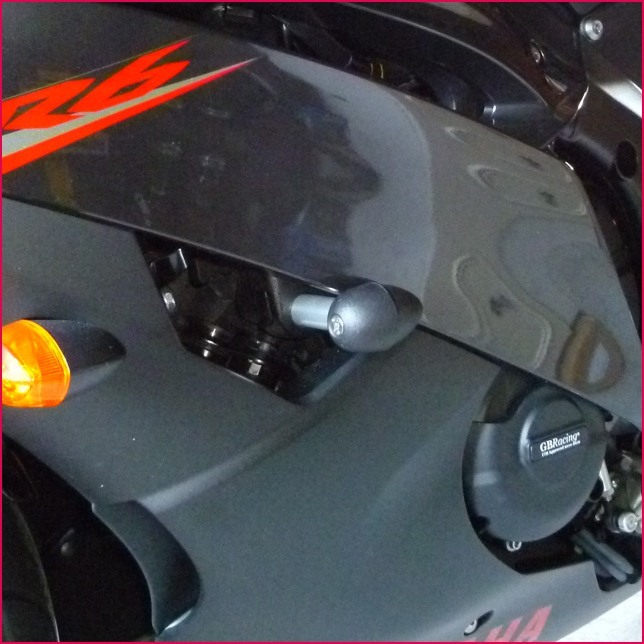 Forward facing hardware provides a solid surface to the side of the motorcycle which helps maximize protection. PLEASE NOTE - 2012 + 2013 models will require minor fairing modifications to the RIGHT side only for proper installation.